In today’s tough economic climate, increasing employee compensation is not always an option. Prioritizing employee engagement not only helps retain successful employees, but also helps boost overall performance. 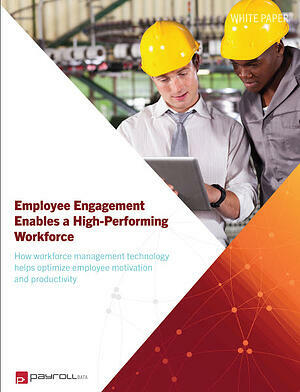 In this 7-page whitepaper, Employee Engagement Enables a High-Performing Workforce, you will learn how a fully automated and integrated workforce management solution can your company increase employee engagement.